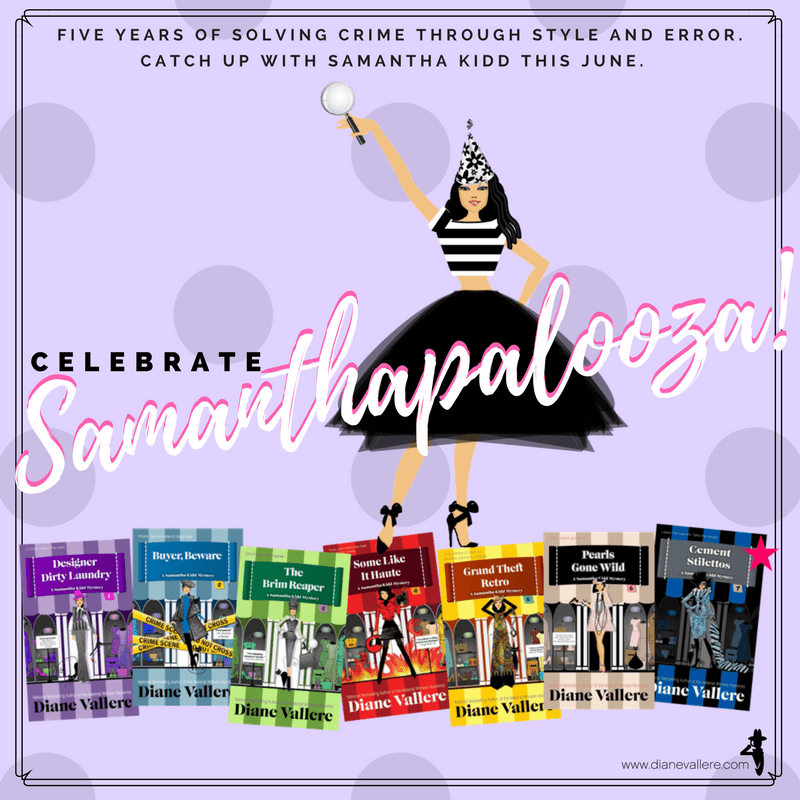 Welcome to Day #7 of #Samanthapalooza!! 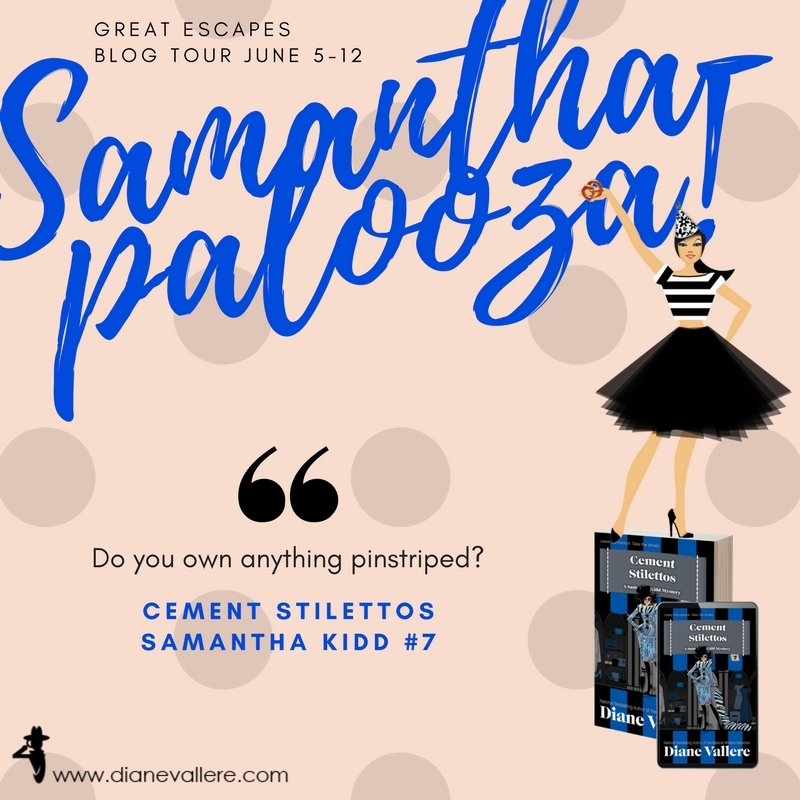 To Celebrate the 5 Year Anniversary of the Samantha Kidd Humorous Mystery Series by Diane Vallere Great Escapes Book Tours is hosting #Samanthapalooza! Forget the cannoli. Take the shoes! When newly engaged amateur sleuth Samantha Kidd discovers the body of a mafia princess dead in fiancé and shoe designer Nick Taylor’s showroom, her questions are so numerous she’d need a bookie to keep track. The victim’s ties to local organized crime are unexpected. Nick’s apparent vow of silence makes Samantha question the vows in their future, and despite past promises, all bets are off. Wise guys and leopard ladies keep her busier than a consigliere during tax season, and if she can’t keep her head above water, she’ll end up sleeping with the fishes. The Costume Shop mysteries debuted with A DISGUISE TO DIE FOR , which introduces Margo Tamblyn, costume shop owner, who helps solve a murder after one of her clients is found dead at his own costume party (dressed as Sherlock!). MASKING FOR TROUBLE , the second in the series was released last October and Dressed to Confess will be out in August 2017. The Material Witness mysteries feature Polyester Monroe, who inherits the fabric shop where she was born. Books include SUEDE TO REST and CRUSHED VELVET . The third, SILK STALKINGS, was just released. 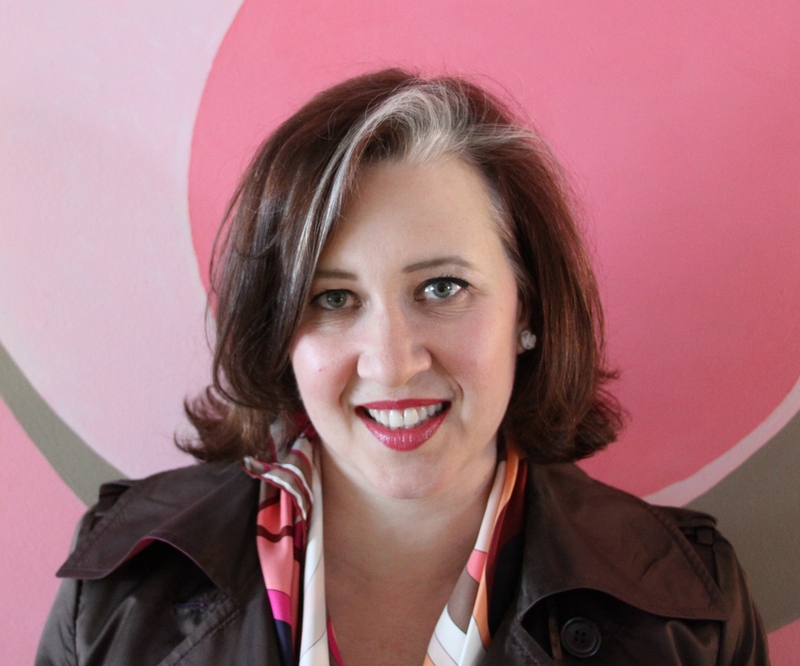 The Style & Error Series features former fashion buyer turned amateur sleuth Samantha Kidd. Books in that series include DESIGNER DIRTY LAUNDRY ; BUYER, BEWARE ; THE BRIM REAPER ; SOME LIKE IT HAUTE, GRAND THEFT RETRO , and Pearls Gone Wild . (A short story, “Just Kidding ,” tells the story of how Samantha first met shoe designer Nick Taylor). The Madison Night Mysteries feature a modern day interior decorator who specializes in midcentury design (studying Doris Day movies to get the look right). Books are PILLOW STALK ,THAT TOUCH OF INK , and WITH VICS YOU GET EGGROLL . A prequel novella, “Midnight Ice,” can be found in OTHER PEOPLE’S BAGGAGE . (A short story, “Just Kidding ,” tells the story of how Samantha first met shoe designer Nick Taylor).